It seems entertainment company Avex Entertainment is continuing to step foot in the event/tourism industry. For the 2nd year in a row they have held the “Star Island” event. It’s proving to be a successful venture, as it managed to become a sold out event. “Star”, what would you imagine if you hear the word “star”?? Or some people might think about an icon “Super Star”. – as abundant as there are stars – in order to enjoy your life. If one day you had wandered into a parallel world, we would like to create an extraordinary experience in your everyday life. With this we would like to help to provide a catalyst in order to realize your potential in your life. 15,000 people showed up to the event. The price for standard tickets ranged from 7,000 to 10,000 yen. Limited edition seats were also available for purchase. 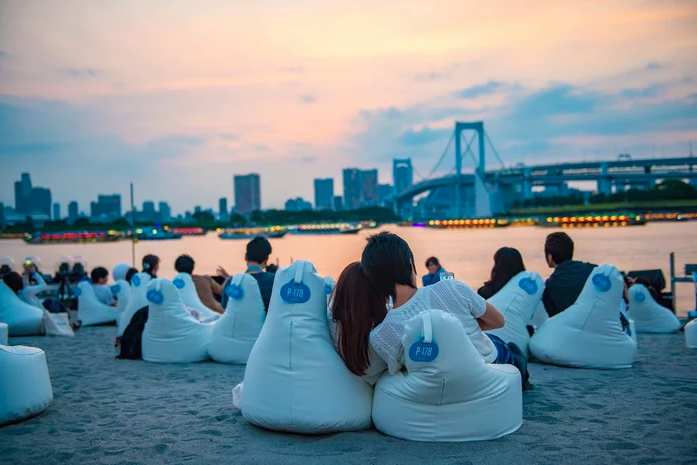 30,000 yen awarded you premium blowup chairs and the very best seating on the beach, allowing you to view the firework, 3D, and stage performances in full glory. 40,000 yen gave you a luxury bed instead of the blowup chair. 50,000 yen gave you the previous incentives along with dinner and a bottle of champagne. All of the limited edition tickets accounted for two people. 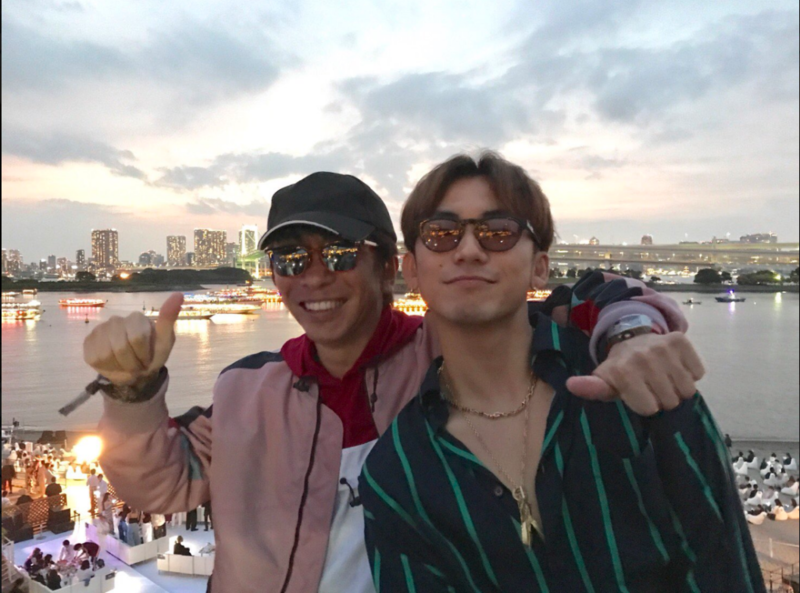 Avex’s head honcho Max Matsuura is a big proponent for the event, even posting a selfie with J Soul Brothers’ member NAOTO. The chance to see some of Avex’s top acts will no doubt attract some fans in the future. Top Comedian Atsushi Tamura also shared a personal video from the event. The only musicians who performed at “Star Island” thus far are DJs, but it would no doubt be a prime venue for stars to take the stage it. Perhaps this will turn into the second coming of a-nation? Photos from “Star Island” 2018 can be seen below.